Here at Football and Stilettos I wanted to start something new. I work in sports,I go to school for sports, my whole life pretty much revolves around sports. I know some of my awesome readers, maybe even you, read my posts because they have to do with the sport you like or some player you like, but sports isn't the only part of my life. So I thought of this great idea today while I was driving to lunch: I should combine all of the different aspects of my life into one post and tell my readers what I'm into for that week. Born was "Monday Must-Haves." There are going to be five different categories for the Monday Must-Haves and they are: sports (I just can't resist putting that in... but never a whole post about sports), social media, hair and makeup, fashion, and music. So for this week here are my Monday Must-Haves! If you live in Jacksonville or anywhere near Jacksonville, you need to come to the matchup between the Jacksonville Sharks and the Tampa Bay Storm of the Arena Football League. If you've never been to an AFL game, you really are missing out. The action is right in your face, the players have a chance of flying over the padded wall into your lap, or you can catch a football from the game and keep it. This game has been a division rivalry since the Sharks were founded in 2010! This game is guaranteed to not disappoint. It's also Pirate Night as the Sharks theme nights continue on, so there's that. This area might seem kind of weird for a Monday Must-Have, but I'm not here to tell you whether you should have a Facebook, Twitter, Instagram or whatever the latest craze is. What I am going to do is tell you one person/company/organization from either Instagram or Twitter that I follow that I think you might like as well. This week that follow button needs to be clicked for Project Mermaids on Instagram! You can follow them here! Project Mermaids is an awesome photo project that started because someone wanted to show that the ocean is more than what we can see on the surface. They have partnered with saveourbeach.org to create a coffee table book (which I will be getting when it comes out) to raise awareness about different issues that lie beneath the ocean's surface. This area isn't just going to be for the ladies, but for this week it is. My favorite product this week is a Smashbox dupe, because I don't know about you, but this twenty-something can't afford Smashbox all the time. 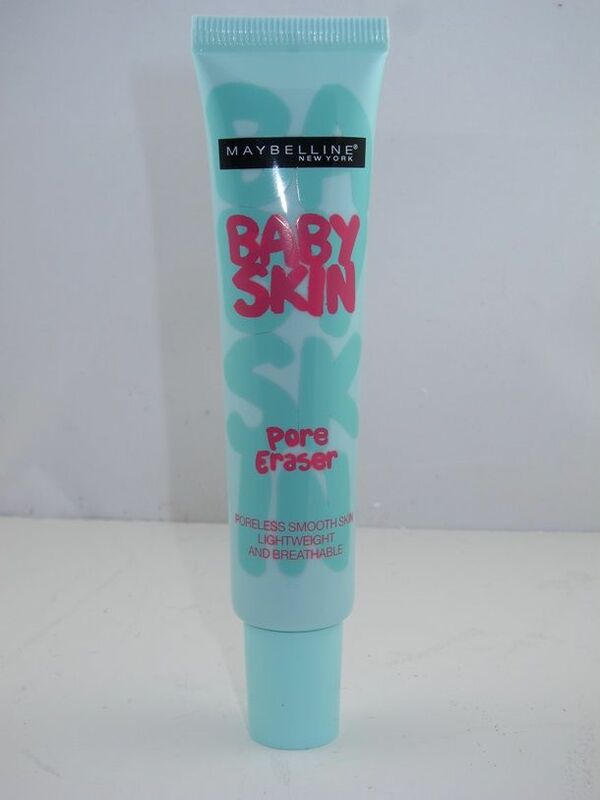 My Monday Must-Have, and really any day must-have, is Maybelline New York Baby Skin Instant Pore Eraser primer. This stuff is literally incredible for making your face pretty perfect before putting on your favorite foundation or BB cream. And instead of paying $42.00 for the Smashbox you can get the dupe for $6.99 and it lasts for a long time. Florals are always in for spring, but this season think about wearing those flowers in a new way! Right now I'm really into headpieces and doing cool stuff with hair that is a bit unexpected and makes a statement. I love flower crowns. They are so easy to wear with a flowy graphic tee, or a tank-top and shorts, or even a sundress. You can buy flower crowns from a lot of different stores right now, but I really like making my own because in the end, I spend about the same amount of money, I get to be creative, and I get to make about three crowns out of the supplies that I buy. Well that's it for this week's Monday Must-Have's! What are you must-haves to start the week? Let me know so I can try them out too.